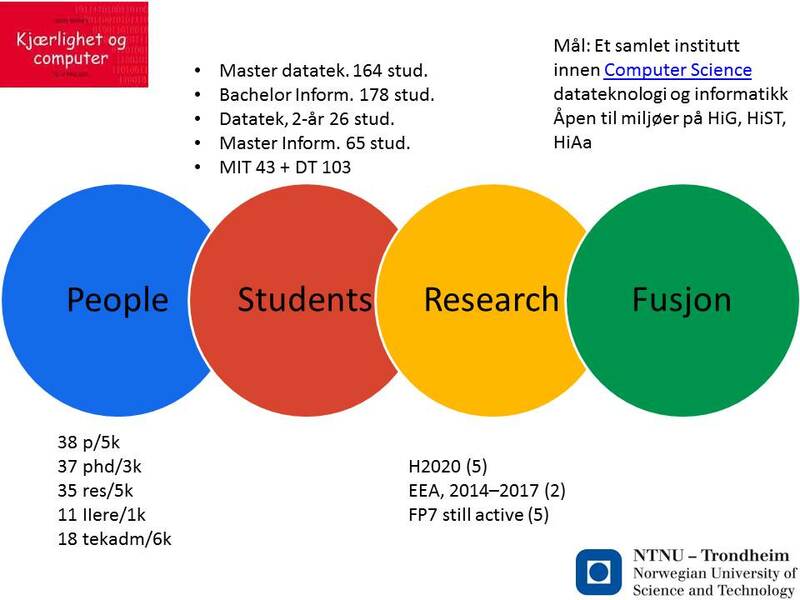 Do we know how many of the 40.000 students of the new NTNU will be Computer Science Students? Norway needs engineers who understand software, many of them. See for example this article on TU. 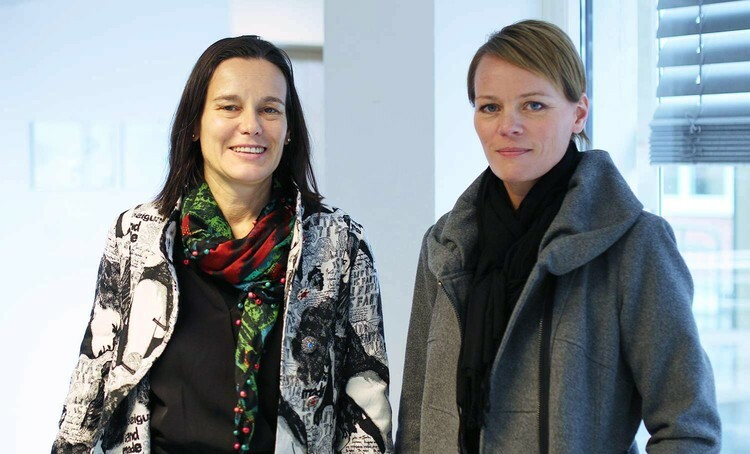 Institutt for Data og Informasjonsvitenskap (IDI) wants to contribute to make Computer Science visible and clear in the new NTNU. Without discussing these issues and these numbers, it will be difficult to evaluate proposals about University structure. ICEC has today 180 registered. As you know IDI’s major goal is to educate highly competent graduates at a bachelor and master level for IT businesses. To do so, IDI wants to always improve the communication channel with IT businesses and assess your needs. Towards this direction we have designed a survey to investigate the skills IDI graduates must have to be successful in the industry. Specifically, we aim to understand the extent to which IDI’s graduates are equipped with the skills needed in each particular industry. In order to be able to proceed with this investigation we would like to ask for your valuable contribution. You are kindly requested to fill this survey as well as to forward it to your employees who have any direct or indirect collaboration with IDI graduates. The estimated completion time of the survey is 15 minutes; you contribution is appreciated. Jeg blir, som kjent, mindre og mindre glad i papir og gamle gjenstander jo eldre jeg blir. Bare noen få viktige ting overlever mine rydde stunder. 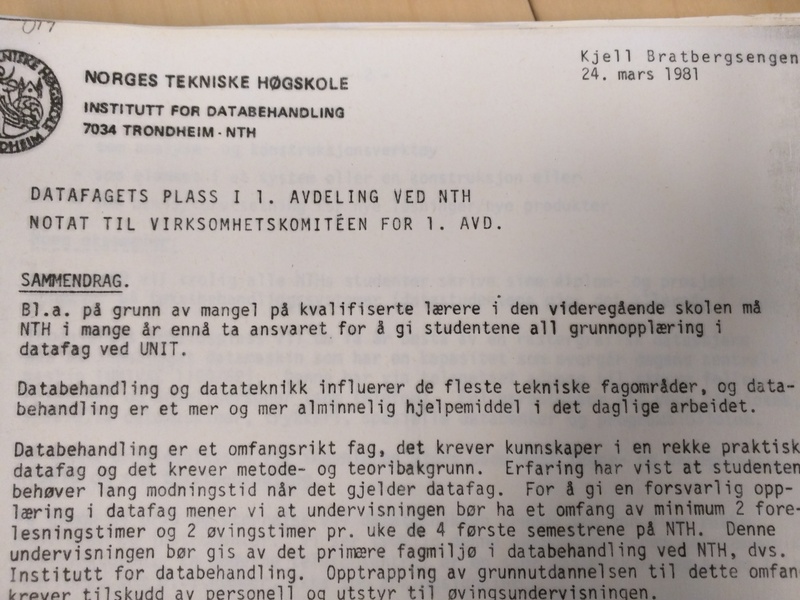 Men, i dag ble jeg glad når jeg fant i min postkasse en gammel perm som inneholder gamle gule ark fra tidlig 80 tallet som handler om utdanning i databehandling og datateknologi, forhold mellom databehandling, teknisk kybernetikk og teleteknikk og til og med et spørreskjema laget i forbindelse med en undersøkelse blant uteksaminert fra kullet H78/V79 ved linjen for databehandling. 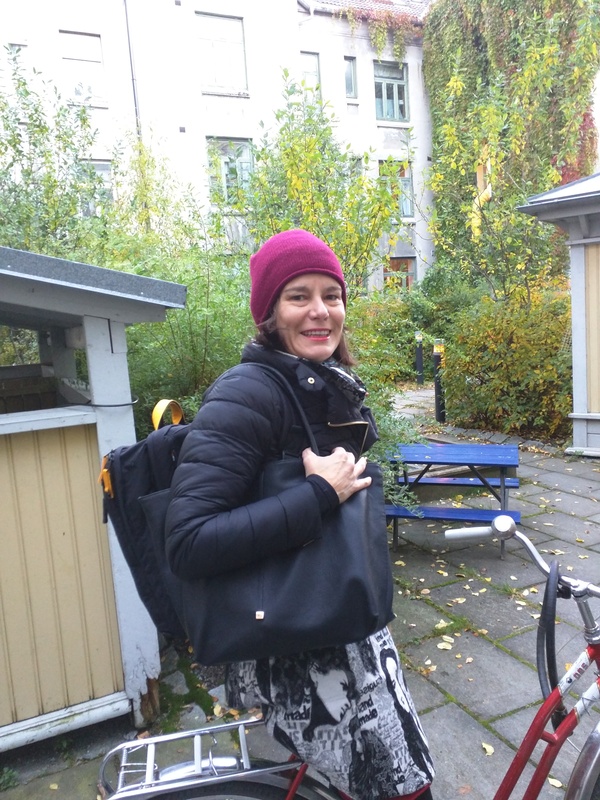 Permen inneholder til og med noen håndskrevet ark som beskriver data kurs tilbyd i UiO, UiB, Universitet i Tromsø, distrikthøgskoler Agder, Møre og Romsdal, Nordland, Rogaland, Telemark, Østfold, og i Sverige og Danmark.Imponerende oversikt, gitt at man ikke bare kunne søke på nett i de gamle dager. Jeg er også imponert at Kjell Bratbergsengen fremdeles hadde den permen og stolt at han har gitt den til meg. Kom å låne permen om du er interessert.